InteSusAl is a major multimillion European funded project to develop one of the world’s largest algae biofuel facility in Portugal. This is part of the EU algae cluster project. 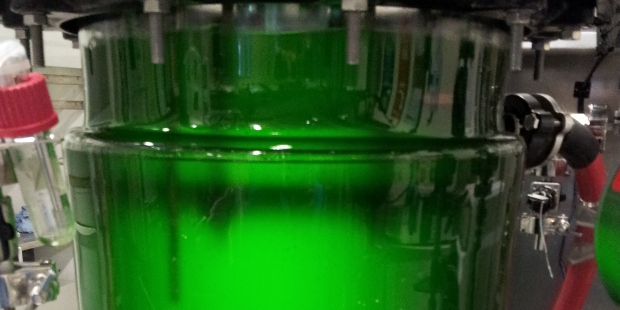 The InteSusAl project involves the production of algae by both heterotrophic and phototrophic routes, and will demonstrate integration of these production technologies (Raceway, PhotoBioReactor and Fermentation) to achieve the algae cultivation targets of 90- 120 dry tonnes per hectare per annum. The project will select algae species and cultivation technologies to attain algal oil with a suitable lipid profile for biodiesel production and will validate this selection through conversion of extracted oil into biodiesel to meet standard specifications. The results of this demonstration project will be disseminated across Europe to facilitate wider uptake. The support of the European Community is gratefully acknowledged.